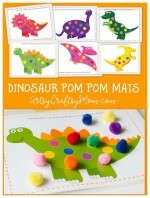 We are going Dinosaur crazy this month. Haha! But when you have a child who is fascinated by something, as a mom I want to take full advantage of it. Miss P is also struggling a little with her mental math and we came up with this addition game together. 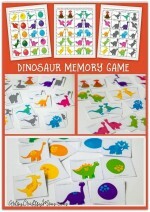 This dinosaur addition game is sure to be a roaring success at your home & in your classrooms! In this game, get the kids to answer a basic addition problem and then follow the directions to move around the game board. 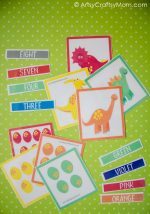 Complete directions, 1 Board, 48 Editable Addition Sum cards with a dinosaur themed background, plus – Common core math standards – K.CC , K.OA, K.NBT, 1.OA, 1.NBT that apply with examples to explore them through the addition cards + addition resource sheet. 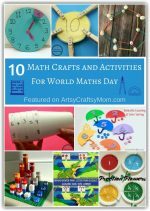 An addition resource sheet for numbers 0-15 is also included. 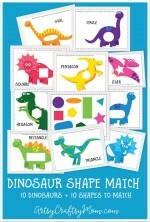 A back cover print is also included to decorate your Dino cards. The 48 Addition cards are editable. We have the samples already filled for you. But you can easily edit them using a PDF editor like Acrobat DC. Once you have all your cards filled, print the sheet. We printed the footprint pattern paper (included in the bundle) on the back of the cards. We edited and printed multiple copies of the addition cards, each time increasing the complexity of the sums. You will need at least 40 cards to begin with. Print the main board & Addition chart for reference. Laminate the card pages & board Game. Using scissors, cut out each ‘addition card’ along the dotted line. 1 laminated board, dice, game piece markers. 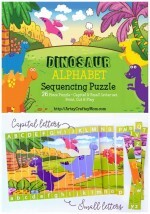 ( Tip- use your dinosaur toys) and all 48 addition cards. Objective of the Dinosaur Math game: In this game, kids will answer basic addition problems and then follow the directions to move around the game board. 1. Place all addition cards upside down. 2. Setup your board by placing the piece markers at the start. We added washi tape to two wooden pegs. 3. Each player rolls the dice. The player with the smallest number plays first. 4. Roll the dice. Move your marker that many spaces on the board. Then draw a card and read the addition problem. Answer correctly. Miss P checked my answer using the Addition chart for reference. 5. If you answer right, you get to move one step forward. If you get it wrong, you need to move back 2 steps. 6. Take turns following this process until a person reaches the finish. 7. For fun, if you land on a footprint with the word Roar!, everyone needs to pause the game and let out a loud ROAR!! We reviewed the addition sums starting from really basic to the complex. We had Miss P’s friends who joined in the games – fun for ages 5 and above. Addition with 0 – 0 representing a count of no objects e.g., Having addition cards 0 + 7, 9 + 0 etc. e.g., having cards that make sum 5 : 2 + 3 and 4 + 1. 3. For any number from 1 to 10, calculate doubles e.g.,- 2 + 2, 4 + 4 etc. Compose and decompose numbers from 11 to 19 into ten ones and some further ones, e.g., 18 = 10 + 8; understand that these numbers are composed of ten ones and one, two, three, four, five, six, seven, eight, or nine ones. 2. Explore Commutative property of addition Eg – If 8 + 3 = 11 is known, then 3 + 8 = 11 is also known. (e.g., adding 6 + 7 by creating the known equivalent 6 + 6 + 1 = 12 + 1 = 13). Editable cards = unlimited addition sums & learning. This game board is made to fit perfectly inside a file folder, which can be used in a math center or it’s great if you do math in your classroom or if you are homeschooling. We love our Dinosaur themed addition game! !